While reviewing your year is a great exercise in seeing all you’ve accomplished and recognizing for yourself what an amazing person you are, it’s in the creation of “What’s Next? !” that you really get the chance to shine. For this exercise to be most effective, I encourage you to schedule some reflective time for yourself without normal distractions. Really get into a different head space before responding. Allow yourself to fully imagine you in the next year; visualize each of these scenarios and from that place, write down your responses. Don’t self-correct or talk yourself out of what comes forward for you. Write it all down. There is also no rule that you have to limit yourself to just three responses. Go crazy! Keep writing! This is YOUR 2017 and you get to visualize and create it however you like. 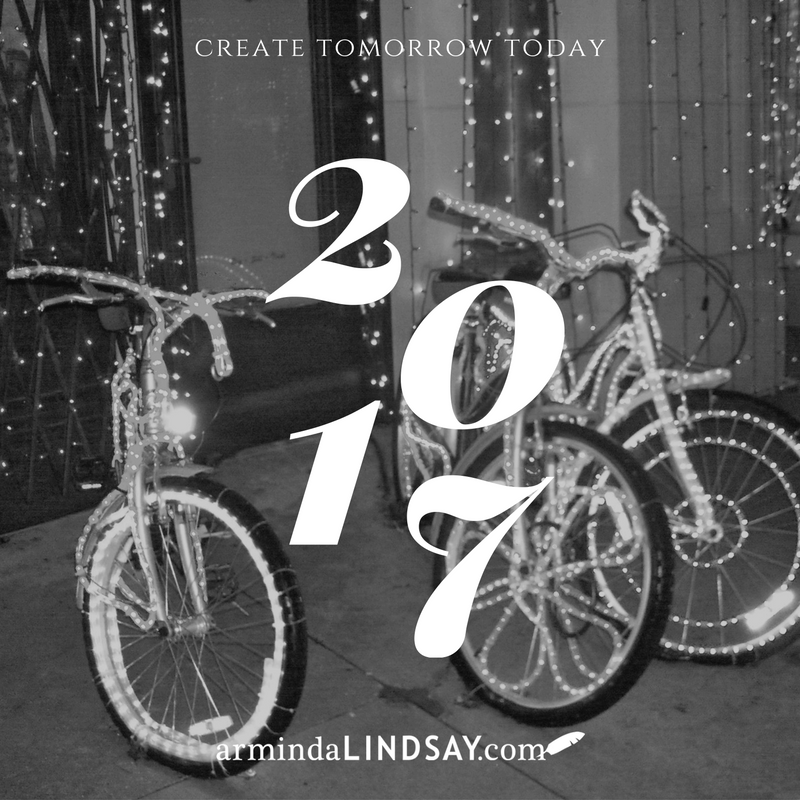 If you’d like to share your responses with me (yes, please), then simply send me an email (coach at armindalindsay dot com) with your 2017 projections. I can’t wait to read your future. 1. What are the top 3 things you will achieve? 2. List 3 challenges you anticipate. 3. What are 3 things you need to learn to grow your business? 4. Identify 3 things you want to grow and/or learn about yourself. 5. Which are the 3 relationships you intend to grow and/or develop? 6. Name 3 things you want to create or bring into the world. 7. What are 3 ways you will make a difference in 2017? 8. List 3 ways you will have FUN in your business. There have been times in my life I’ve found myself in a lower emotional state, a place inside my own head that I believe is real. It’s a place that’s easy to stay, inside that limiting belief. It’s easy because I’m not the only one who gets settled in that spot. Many people around me believe that life is just hard, or the economy is in a slump, or we just are the way we are, or somebody else gets all the luck, or the locals aren’t ready for a business model like mine, or I don’t know how to do that one thing that would make all the difference, so I’ll just envy others for what obviously comes easy to them and jump back on social media to check in on what everyone else is doing. What thoughts and limiting beliefs are you holding onto right now? 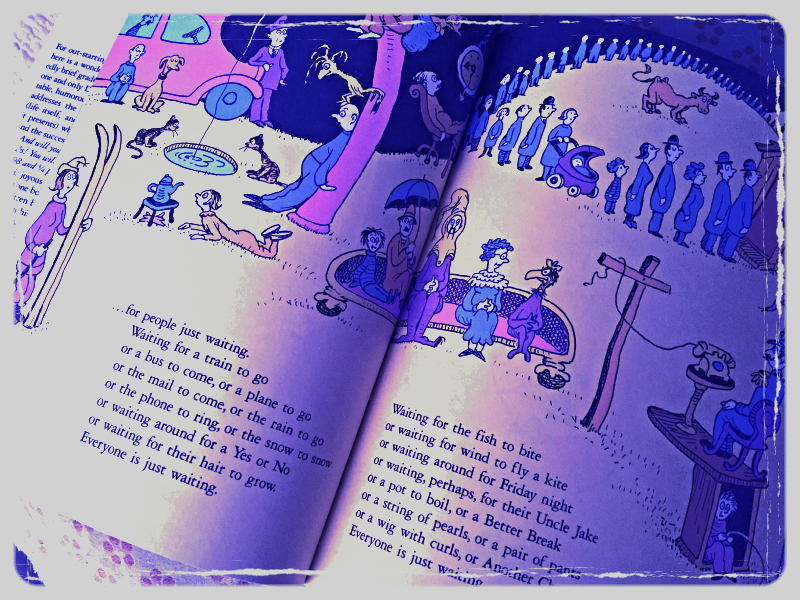 Some of my most profound learning moments have come from children’s books and one of my greatest teachers is Dr. Seuss. I particularly love his fabulous Oh, The Places You’ll Go! In this book he reminds us that when we believe our own thoughts, our own limiting beliefs, we are hanging out in “the Waiting Place,” and until we snap out of it and get on with the business of living and creating the life we want, we are wasting time waiting for something or someone that isn’t coming. You’re all you’re waiting for, so . . .